Long-acting reversible contraception are now a first-line option for teens. A leading group of physicians who advise on women's health has issued new guidelines recommending for the first time that doctors offer intrauterine devices (IUDs) and implantable contraception -- methods commonly referred to as long-acting reversible contraception -- to teenage patients. An IUD is a small device placed in the uterus to prevent pregnancy. One type releases small doses of a hormone and can be used for five years; the other lasts 10 years and does not use hormones. Implantable contraception, or an implant, is a flexible, match-stick- sized rod placed under the skin that prevents pregnancy by releasing a hormone used in some birth control pills called progestin. More than one third of young people ages 15 to 19 are sexually active, yet most teens are not using, and may not even know about, these birth control methods, according to statistics from the CDC's National Center for Health Statistics. The American College of Obstetrics and Gynecology (ACOG) issued a paper Thursday evening containing new guidelines to offer IUDs and implants as first-line birth control options for teens. The paper explains that over 80 percent of teen pregnancies are unintended, and although most teens report having used some form of birth control, they are usually put on short-acting methods, like the birth control pill, patch, ring or shot. All of these short-acting methods have higher failure rates than long-acting methods, often due to incorrect use. Teens are also likely to stop using the short-acting methods. "This recommendation is timely and essential," says Dr. Ellen Rome, head of the Center for Adolescent Medicine at Cleveland Clinic Children's Hospital. "Long-acting reversible contraceptive methods are twice as effective as shorter acting contraceptive methods at reducing teen pregnancy and could make a significant impact in preventing the 750,000 teen pregnancies occurring annually in the United States alone." Despite the sobering stats on teen pregnancy, many doctors do not offer long-acting methods to teens as their first option for birth control, possibly due to misconceptions about these options. "It's such a common thing," said Dr. Rachel Phelps, medical director of Planned Parenthood's Rochester/Syracuse Region. "I see teens and women every week who are pregnant because their doctors aren't well educated in contraception." Phelps told the story of one young woman who had her IUD removed when she broke up with her boyfriend because her doctor said IUDs could only be used by women in monogamous relationships. The woman became pregnant and had an abortion. "When I put the IUD in after the abortion and told her she didn't have to have it removed in the first place, tears were streaming down her face," Phelps said. "None of this would have happened if her doctor had been better educated." Phelps said she has seen many similar stories. "All of those abortions and all the emotional turmoil those patients went through could have been prevented if they had been offered long-acting methods earlier," she said. Although the guidelines now recommend long-acting reversible contraception as the first-line option, some doctors said short-acting methods may still be the best option for certain patients. "I can't say [long-acting methods are the] first line in every case," said Dr. Rollyn M. Ornstein, associate professor of pediatrics at Penn State Hershey Children's Hospital. "I love the fact that they're recommending it, but I don't think it's 100-percent-across-the-board the right method for everyone." Ornstein noted that many of the doctors teens first see for contraception -- pediatricians and adolescent medicine doctors like herself -- may not insert IUDs and implants, which can limit these patients' ability to get these options. 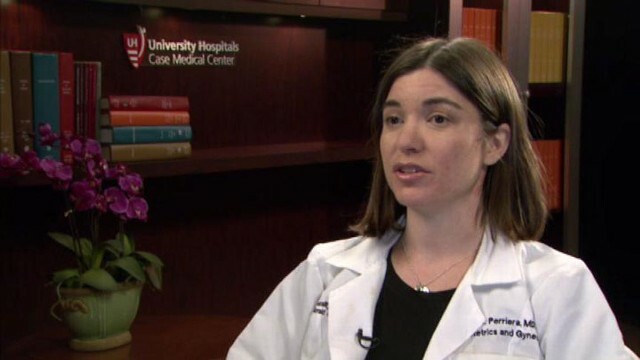 But Dr. Debra Braun-Courville, adolescent medicine fellowship program director at The Mount Sinai Medical Center, said she hopes the new recommendation will encourage such doctors to refer their patients to those who can offer these methods. "Even if adolescent health care providers cannot physically provide the IUD as a method of contraception for their patients because of training and insertion limitations, hopefully this report will encourage them to seek alternative clinical facilities and providers who can provide this option," she said.